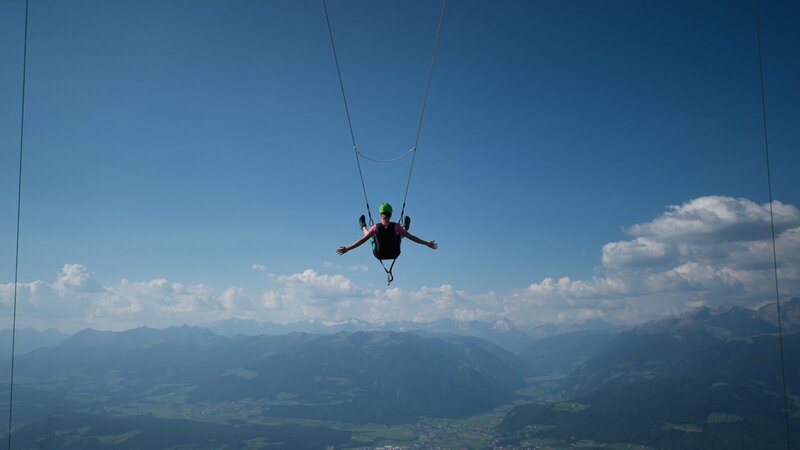 Set at the top of Mount Kronplatz at a dizzying 2275 m above sea-level, this giant swing is an absolute must for you adrenaline junkies out there. 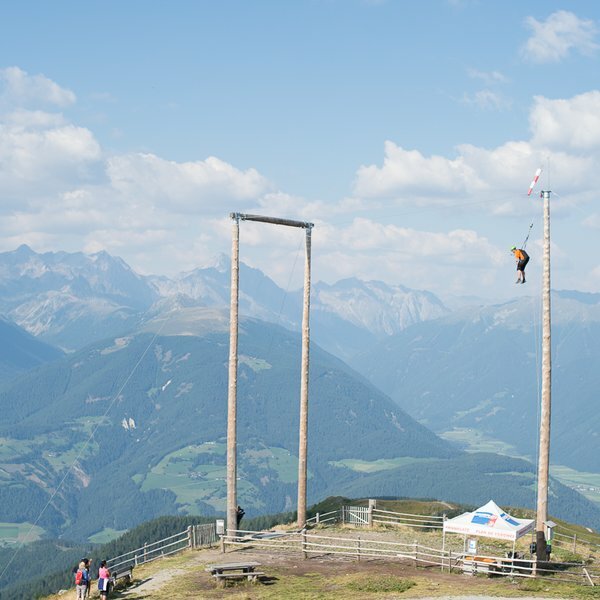 Find out what it's like to be hoisted up to a height of 15 m by a cable winch and hurtled through the air attached only to a couple of steel ropes. 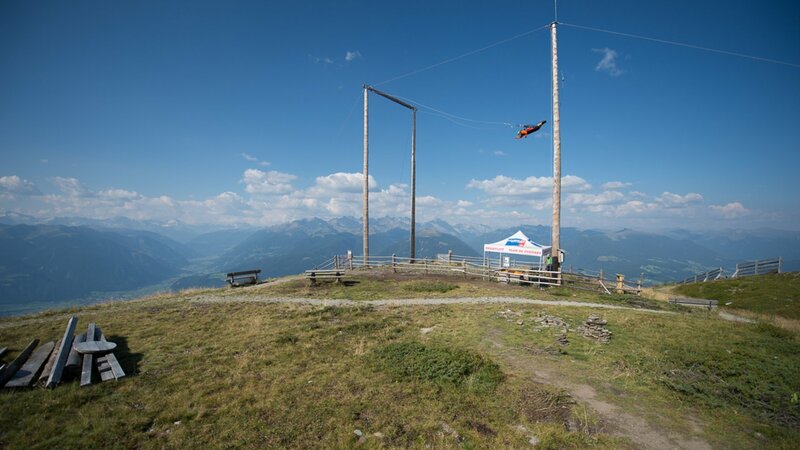 Once you're up there, all you have to do is unclick the fastening and off you go: dashing out into the open sky! 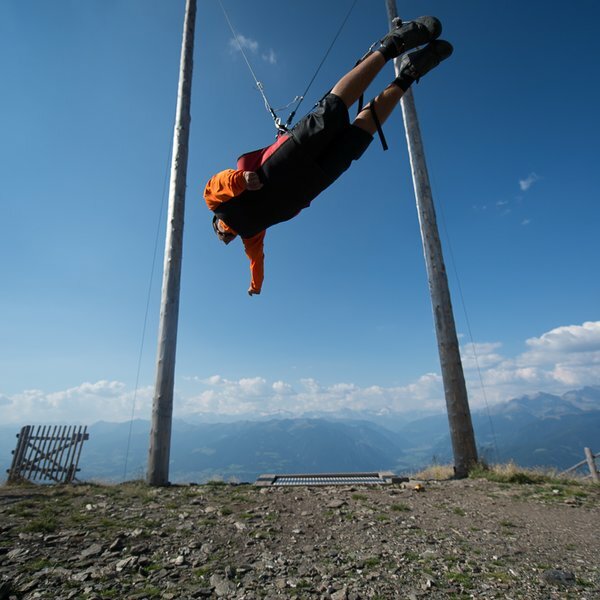 Not only in winter, but also in summer the Kronplatz offers a lot of attractions. 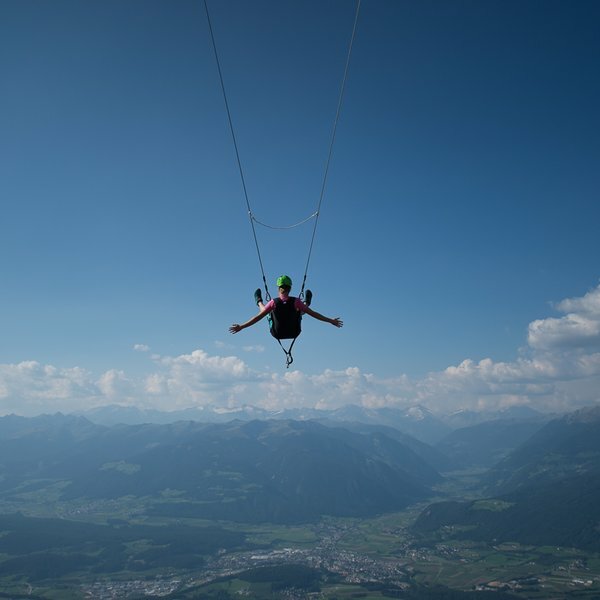 Adrenaline junkies will reach their limits.